OpenToonz Animation Timelapse from Draconian Rain on Vimeo. I made this in hopes of showing others that you don’t need to be in a studio or use fancy software to make animation with cool looking effects. It’s 4hrs sped up to 26 minutes. It’s a shame that so many people strongly believe that you need After Effects to create anything halfway decent. It’s simply not true. All you need is passion, determination, motivation and a willingness to not only learn but be prepared to do problem solving. After you learn OpenToonz, your only real roadblock is yourself. Keep trying guys. Just keep at it and please always use freeware to learn animation first because so many people after they realise there is not “do it for me” option and find out that you have to do everything yourself, these people give up while others come to find that despite the results they absolutely hate the process and also give up. Don’t waste your precious money on paid software until you are certain that animation is for you and who knows, perhaps you will never leave freeware and opensource because of the many benefits, including an active and friendly community. 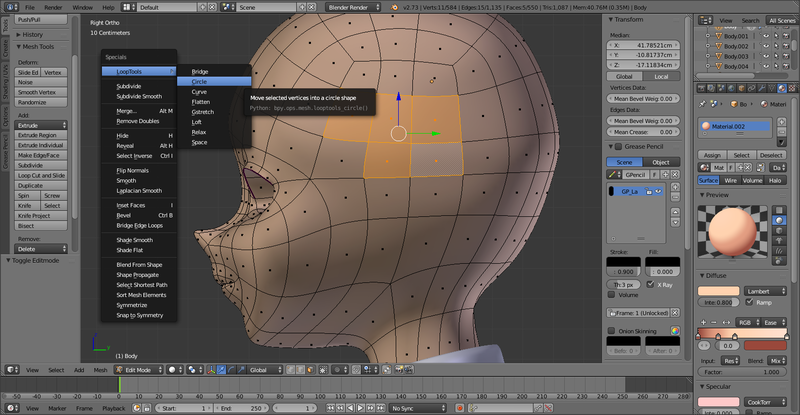 My switch to Modo already looks far more attractive. 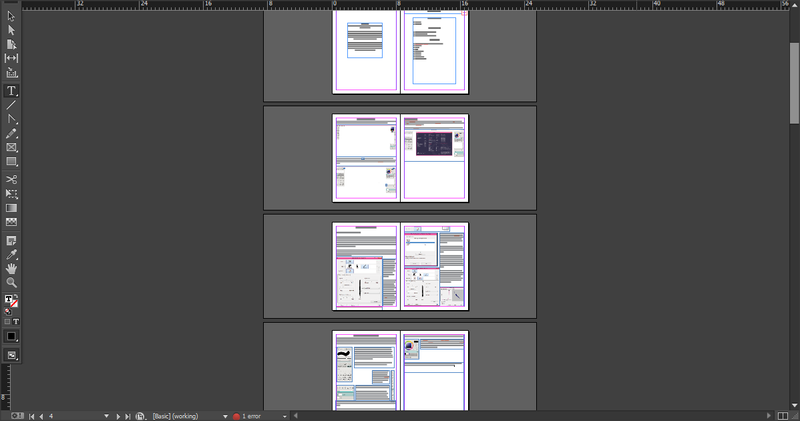 I have ALL THE TOOLS I HAVE EVER WANTED IN ONE PROGRAM!!!!!!!!!!!! I’m subbing and for as long as I can. Sad part is trying to DL the content is incredibly difficult. It keeps throwing a network error and I have to restart the whole process. The transition has been quiet easy really. The only things I am finding hard is flipping normals and aligning them but I am slowly getting used to it and finding out where they are. UVing is SO easy that I found it hard because I over complicated it. And I find that funny. It used to be such a hassle before. All round I am loving it! I also can’t get over the retopology tools. I like them more than 3D Coat’s retopo tools! I think the biggest thing I hated about Blender was the “Holier than thou” attitude for using freeware and then do nothing to help you or mock you for not knowing. The Modo community seems far nicer so far and most of the questions you need to know are already thoroughly answered and still relevant to the current version (Current version being 11.03). Anyway, bottom line is I am much happier. And I’ve been working on this since I downloaded the trial. 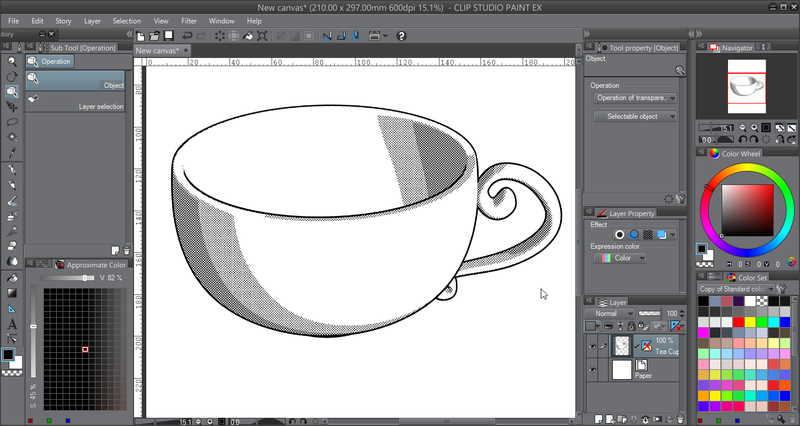 I’m soon working on some 3D assets for Clip Studio Paint. Where Have I Been? What Am I Up To? This is getting asked a bit. Some may have noticed my disappearance on DA. Some are asking where am I posting art. Short answer, I’m not posting art. What I do post goes on Pixiv or tumblr. I will go back to DA eventually but I really need a break from there. 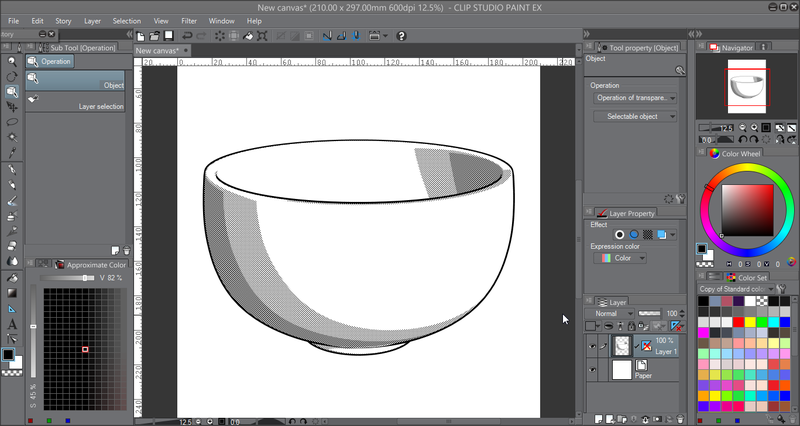 Currently I’m in the process of writing two enormous tutorials and making 3D Assets for Clip Studio Paint. It’s going well so far. Here’s a few snapshots of my current works in progress. 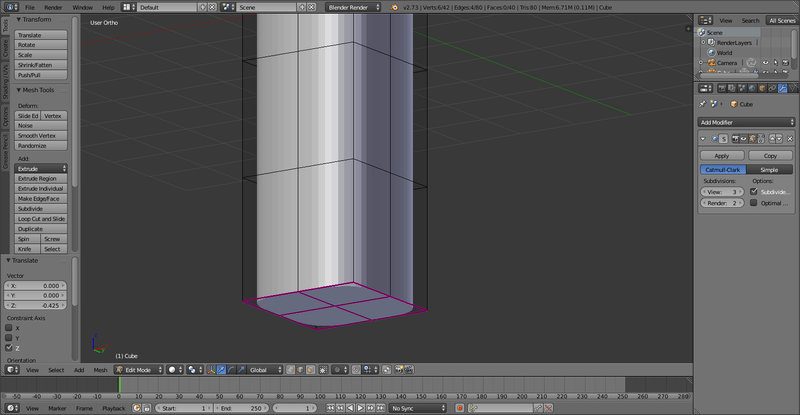 The 3D pencil is a work in progress and very much needs to be textured on a flat material but all in all it went well. 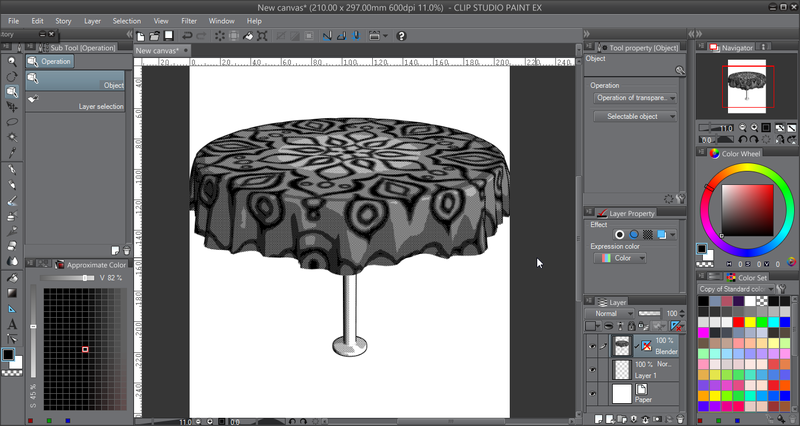 The table with cloth was more of an experiment. I’m glad it worked though because it’s opened up a lot more opportunities for me as far as background art and assets go in my drawings for things I still after all these years, can not draw in perspective. This is my personal recommendation. I just want to mention that this is my personal opinion from my own experiences. As a hobbyist animator I have tried almost every single animation program out there. I’ve always wanted to do classic frame by frame animation but doing it traditionally can be very expensive and I switched to digital animation. Besides being eco friendly you only have to pay for your tools once. I love the advantages of digital animation. The only program I haven’t tried was CelAction simply because it didn’t have anything I needed and it was far too expensive for a hobbyist like myself. Sketchbook Pro has always been an excellent program for doing concept work but with the added feature of flipbook, it can make creating keyframes very enjoyable. It loads and runs fast and has very basic animation. One of the more notable features is the perspective rulers, this is particularly useful when creating background art for animation since most animation programs do not offer perspective rulers and you have to draw them manually. Taking advantage of these rulers can really help you excel in creating high quality animation and various graphics. This is excellent if you’re new and can help ease you into 2D frame by frame animation. You can then export and import into ToonBoom to take it further and create amazing things. Sketchbook Pro is also excellent for doing storyboarding and various concept work as well making it a very important tool during the early stages of design and creating model references. ToonBoom has a wide range of software specifically for animation but each suite is aimed at specific types of animation but it can do it all. I recommend any of the Toon Boom products from Studio to Harmony. They are all capable of symbol animation, morph/tween, cut out, bone/puppet animation, stop motion and frame by frame. I also like the onion skin options and settings. I’ve found it to be very efficient. However I do recommend that you check the specs and use a trial before committing. There are still some compatibility issues. The only other con I can think of is the learning curve. Some say it is intuitive to learn while others don’t. I did not find it very intuitive but I did find it fairly easy to navigate through the tools. It was difficult at first to remember where everything was but fortunately ToonBoom allows you to fully customize your workspace. I would also like to add that unless you have Harmony you can only create vector art. 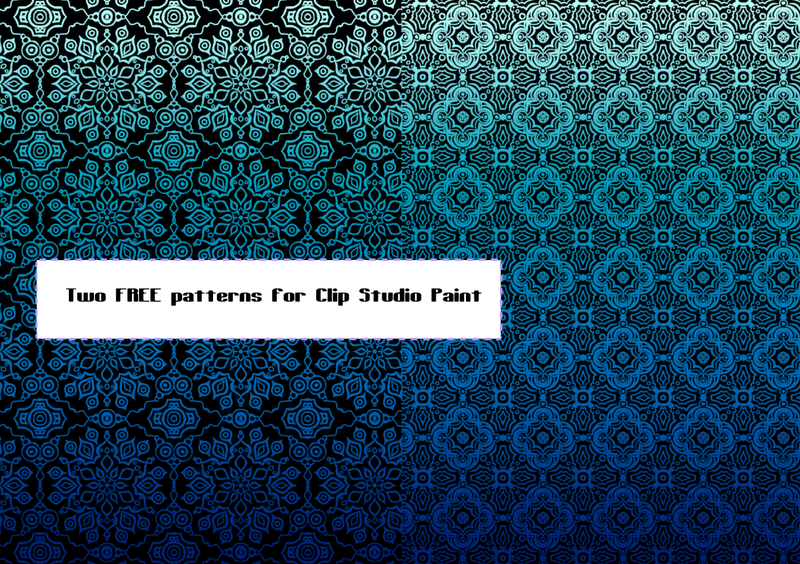 If you want bitmap or raster based painted backgrounds or assets you have to import them. Fortunately ToonBoom offers an excellent library that you can customize and save your items for reuse later. CACANi is excellent for a lot of reasons. The main one being that it can automate inbetweens and it’s stroke steadying settings. If you have shaky hands or an over sensitive tablet you will find this extremely useful. It’s not flawless with auto inbetweening and you still have to inbetween complex animation but it can be a great time saver and still produces quality animation. It basically does advanced vector morphing. It’s also all vector based. Some that are use to raster animation may not enjoy it and find it a disadvantage, but it is worth learning and using. Once you get use to vector animation you can really take full advantage of it and create some incredible things. Particularly if you’re a professional with limited time to get things finished. You can draw in it frame by frame by hand as well and you may find you only need Cacani and Sketchbook Pro for most of your work. CACANi is especially good for a more classic cel animation with cel shading. Anyone that has used ToonBoom or flash and tried to animate cel shading will know the difficulties it can involve. With it’s unique colour line separation pen and quickflip preview ,it makes the flow of animating cel animation much easier smoother and get it done in a much shorter amount of time. 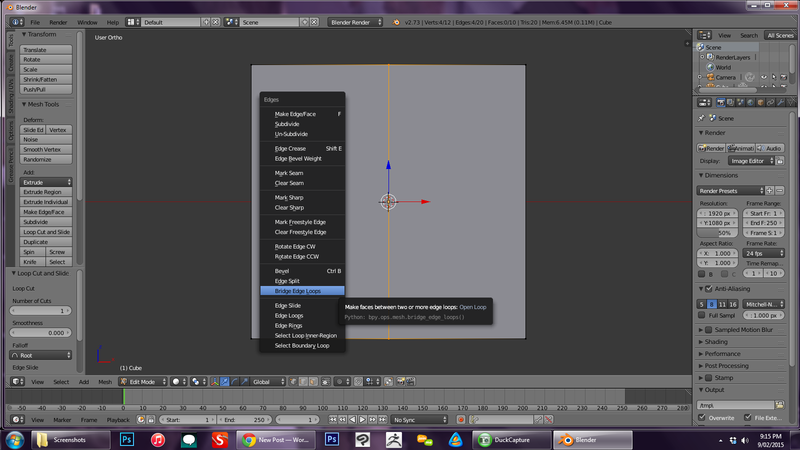 Adobe After effects is a compositing program. I recommend it for filters and basic particles. It’s extremely useful to use the particles to make snow or falling feathers, leaves blowing in the wind or anything else you can think of. It’s especially good for glowing and various lighting or shading effects. I recommend it mostly because subscribing is cheaper than trying to buy Harmony. If you have ToonBoom Harmony, it’s unlikely that you would need After Effects. After Effects is also capable of puppet animation and does a really good job of it. In short it’s like photoshop for animation. I highly recommend it for it’s filters to edit your animations and push them further in design, effects and quality. TVPaint has a lot of tools. If you have it, it’s unlikely that you will need any other program. It is mostly raster based. Recently it was upgraded with a lot of amazing new tools. If you are into puppet or bone animation I don’t recommend TVPaint. It’s mostly a frame by frame animation program. It has advanced and customizable lightbox options that make inbetweening and onion skin easy to use. With TVPaint you can do storyboarding as well which is a big pro including adding audio to your storyboards. The only Con is unless you have a Cintiq or dual monitors, it can get very cramped very quickly. It is professional grade software and has a fairly steep learning curve. However if you have some experience in animation with other programs you might find it fairly intuitive. I highly recommend trying the demo. Unlike other programs there is no time limit to test the software. You can’t save and it uses a watermark. 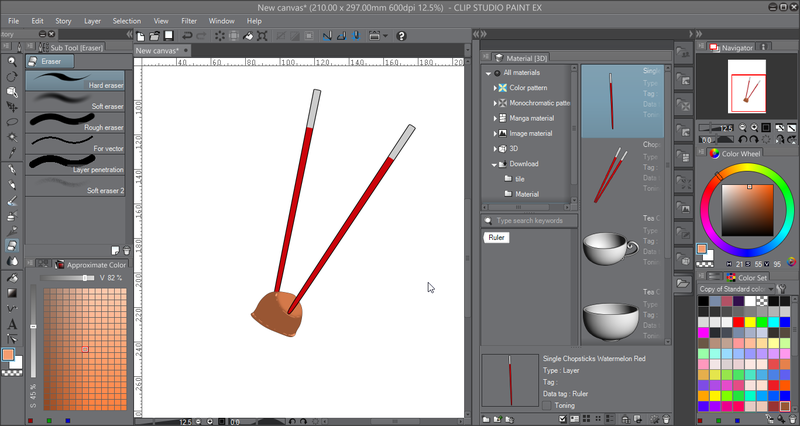 Unlike ToonBoom animate family where you have to import raster images from photoshop for backgrounds, you can paint within TVPaint lessening the need for any other program. Celtx is not animation software but it is a necessary program to have and use. It’s replaced word and OneNote for me. Celtx has online cloud storage and offers a range of writing formats from script writing to storyboards for film and comics. It’s most unique feature is the character database. You can create and story a database for all of your characters with indepth information plot ties and image reference. It’s freeware and well worth downloading and using. If you decide to get into serious animation I highly recommend using it and taking advantage of the character database to use alongside your script and storyboards. 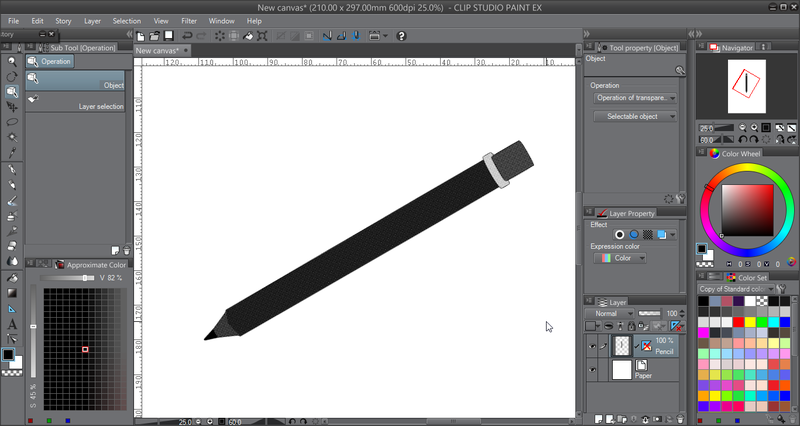 I personally use to use this for my comics in combination with Sketchbook Pro and it certainly has been a great help in the past. If you feel I have forgotten any 2D programs you think should be mentioned please leave a comment. This was very quickly written. 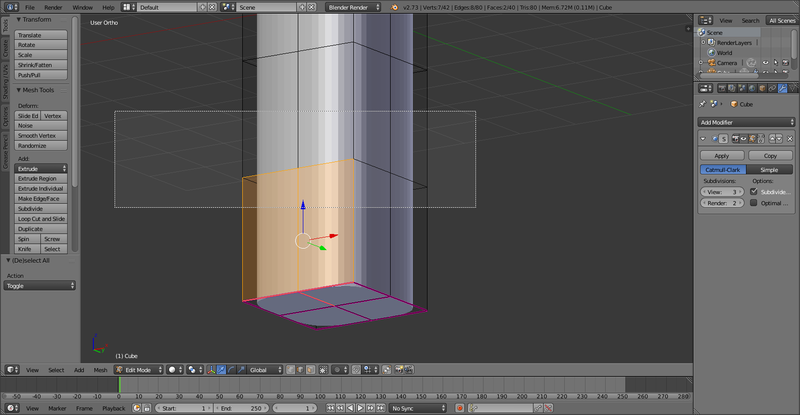 It’s love hate with Blender for me. I really want max but it’s literally impossible. With how much it costs AUD, it’s never going to happen. I’ve been doing 3D solo with no schooling on and off for a couple of years, seriously in the last 2yrs. If I had to sum up all the time I’ve spent and read, I have about a year of work under my belt and that makes me sad because well imagine if I had the opportunity to go to school right. But I learned a lot. Most of it the hard way. 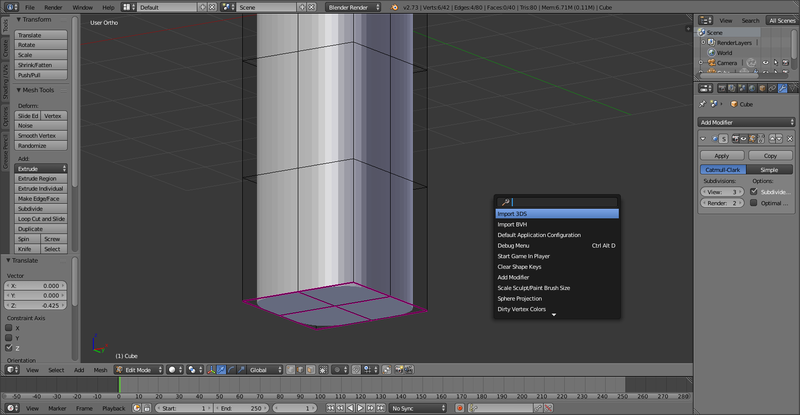 However before the last version came out, I was using a version of Blender that was before tabs were introduced. I personally hate the tabs and I wish there was a revert to old UI (if there is please tell me), but what annoys me most is some subtle changes in hotkeys that I use frequently and no real warning about these changes until about a week later, however some people close with development have been releasing detailed info on the changes but sometimes it would be nice if there was a constantly updated newsletter to subscribe to about such changes in stead of blog after blog that usually gives up on posting (sorry for the random rant). 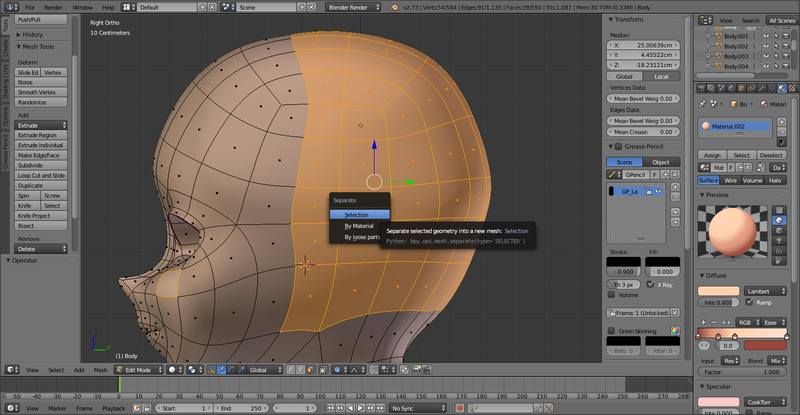 To anyone knew to Blender, a new version pops up literally every year sometimes 2-3 times a year. The development team are always working hard so if you find a version you like, don’t worry because that version is always available to download despite it’s age if you upgrade and change your mind and want to go back. That’s one of the real beauties of blender. Also, I highly recommend going on youtube and searching “What’s new in Blender “whatever version you’re using” to find out the latest changes and new features. Main reason I recommend it is because not only are the videos short and sweet but they usually mention in them any major features that were dropped or added. This is what I mean by love hate. 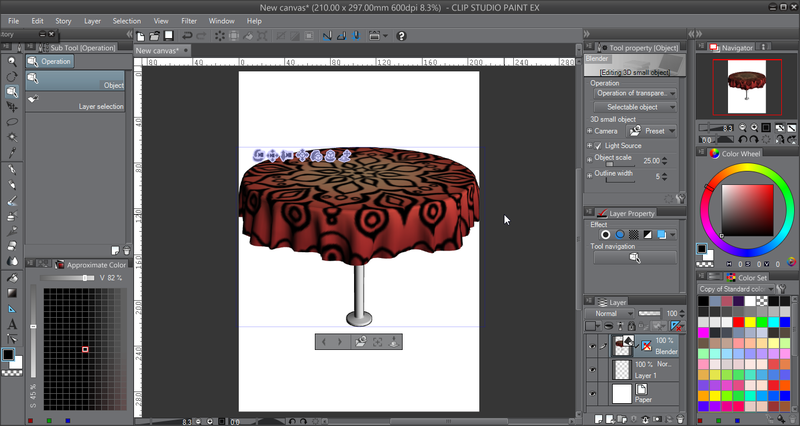 It’s powerful, fast and relatively easy to learn, especially in comparison to certain Autodesk products. As far as performance, Max use to lag for me even on min specs doing low poly but Blender rarely lags even for some pretty high poly and intense work, and I can push my work to levels I can’t in other professional apps. But at the same time, trying to find the updated hotkeys list and other such info on the latest version can sometimes be like trying to find a needle in a hay stack. But what really kills it is the high and mighty attitude of the community towards newcomers. I do not recommend going to forums for Blender help if you are new, they can be quite rude and all things opposite of helpful. I do however recommend going to youtube before anywhere else. Don’t even bother with a Google search, just go to youtube first and you’ll likely find your answers there. I highly, highly recommend anything by Johnathan Williamson. 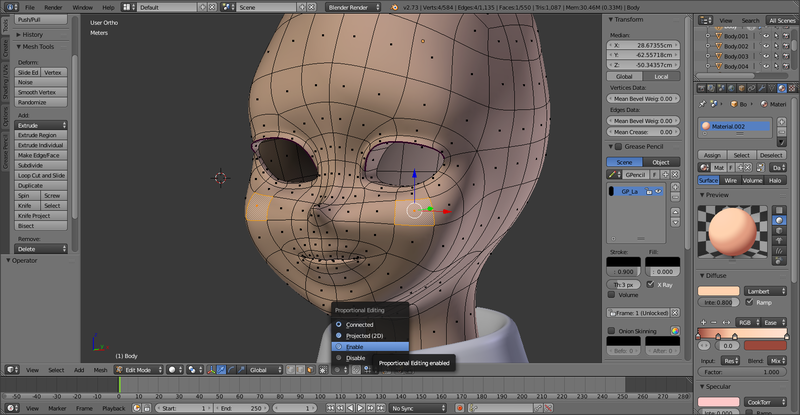 And I also recommend joining Blender Cookie. There’s some incredible tutorials on there. It’s like I said though, sometimes I love Blender and everything about it and other times it just frustrated the heck out of me. But that’s enough complaining. I decided for my own personal use and to help out others that I’d list some Blender Hotkeys that I know for certain work. A lot of these I found by mistake. ctrl + R and hover the area. A pink line will appear looping the area. This is good to if you screw up your edge loops and you want to check it. Left click to OK it, then move and position it and left click again. If you want it in the centre instead of positioning it, right click and it will insert in the centre. Shift + E to make an edge crease. This one took me forever to find because I could only find the hotkey for old blender not new and I found this one by mistake while I was using ctrl + R.
Spacebar for quick search. You can find almost all the commands you need if you can’t find them in the menus. A select all and A again to deselect all. 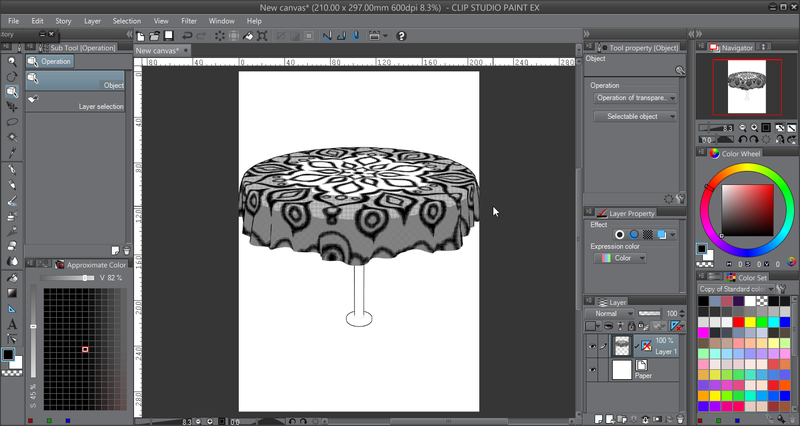 C for brush select, right click to get out of selection brush mode and keep selection or enter. B for Marquee select. Lastly L. L selects a whole object. Say for example you have a sphere inside an eye socket and for whatever reason you want to remove it or move it from your joined mesh. 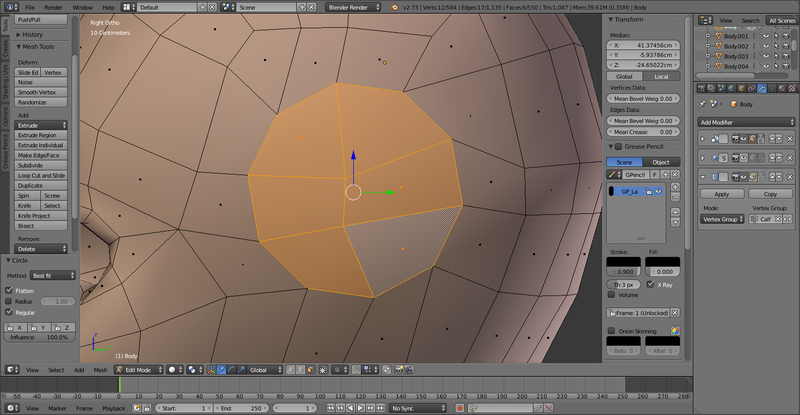 Selecting a vert and then pressing L should select the sphere. You can then use P to separate by selection. W for some of the most used and important features. Most people only use it for sub D and Smooth (also known as Relax in other programs). crtl + B + drag I’m not sure what it’s called but it’s useful especially when making eyes. S to scale, R to rotate, G to grab/move. 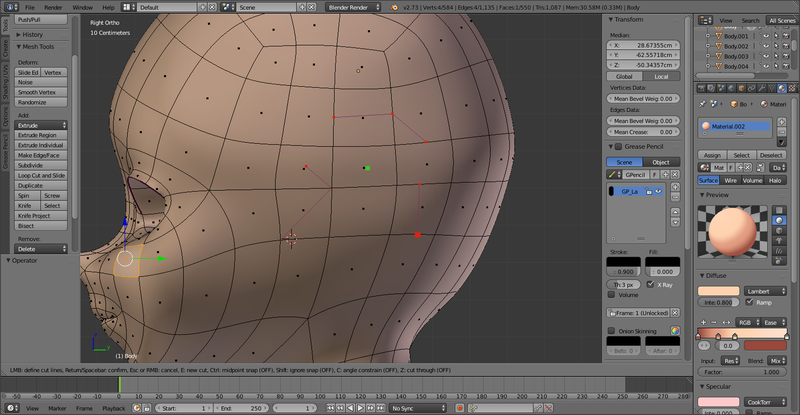 It’s sometimes ideal to turn on proportional editing when using grab while SubD is on. If you enable proportional editing, use the mouse wheel to expand the area of effect. Below is where to find proportional editing and when it’s turned on. Also, when using any of these if you follow straight after with X, Y or Z before you move your mouse you can snap it to the specified axis. For example press G then Z to move along on the Z axis only. K to cut and Enter when you are satisfied with your cuts otherwise, right click to cancel. Now this one is tricky as well to describe. The knife tool goes in an un-breaking line much like the slice tool in Max, except you can break the knife path by pressing E. Below are to examples of using knife and then using knife after pressing E.
P to separate by selection. I use this one a lot. 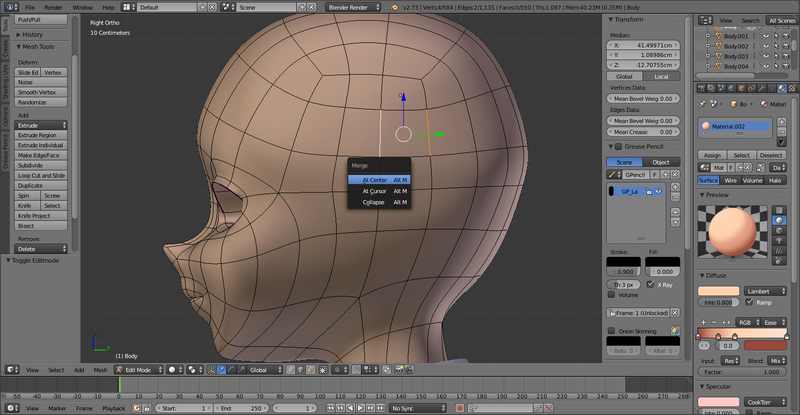 Usually I make the head whole then I select the scalp area and separate it. It turns it into a separate object which I usually use for a base for hair and then later delete it to keep it low poly. It’s really useful to use. Alt + M to merge selection. ctrl+ G to assign Vertex groups. LoopTools: Go to file>> User Preferences>> Addons and type in the word “Loop” in the quick search bar. As shown below. Make sure to hit Save user settings then close and enjoy this amazing addon. 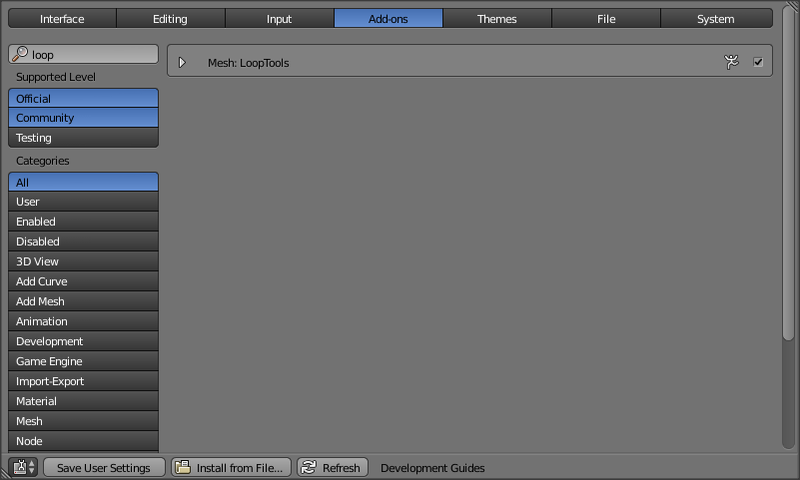 Now press W in edit mode and there will be the new LoopTools at the top of the menu. 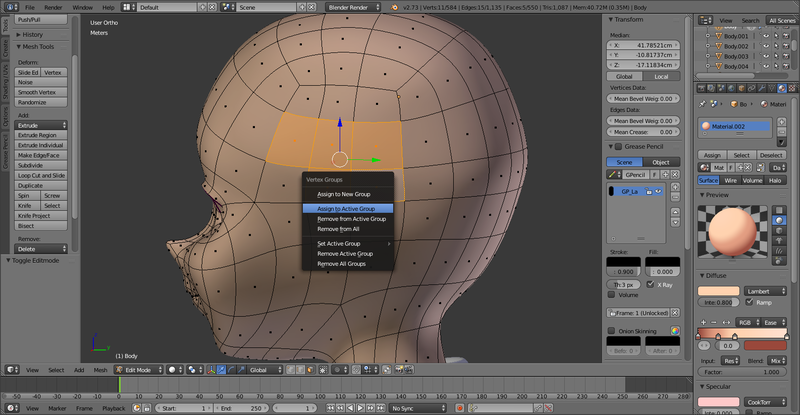 This is excellent for neatening up topology among many other uses. Below shows the new menu and the use of make circle in use. Great tools, I highly recommend using them. Of course it’s not perfect but it can be an incredible time saver. 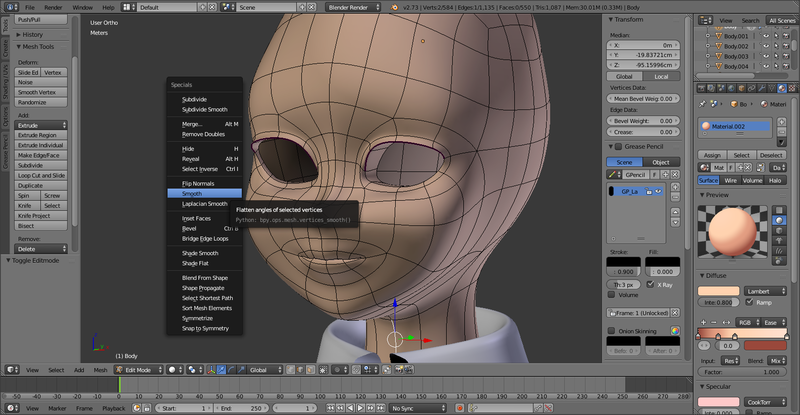 I also recommend, but only if you have the specs to run them becuase having too many addons can slow down Blender’s performance, IvyGen, Sapling, Simplify Curves, Bsurfaces (if you can figure out how to use it), F2, Import image as plane, Mesh Relax and Freestyle SVG exporter. If you have any hotkeys that you think I’ve missed and would like added please do leave them in a comment below for others to find and use. So some of you may know but most may not if you don’t follow me on DeviantART and read my journals but I’ve been hitting it pretty hard with animation. 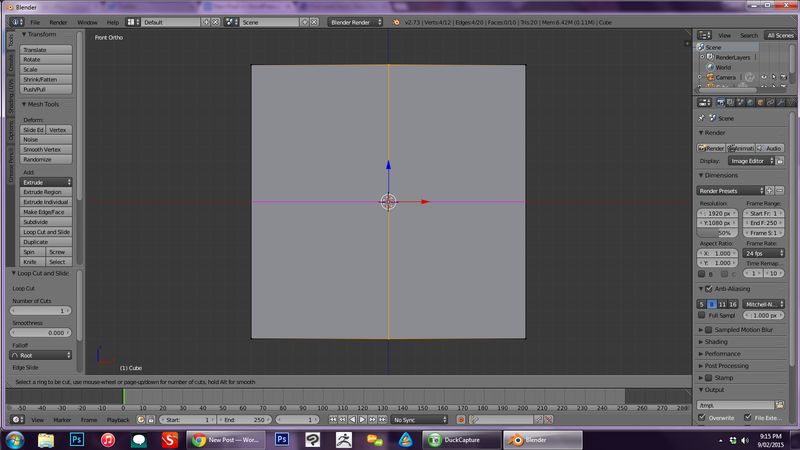 Despite trying hard, the wallet and my PC and laptop can not handle 3D animation. 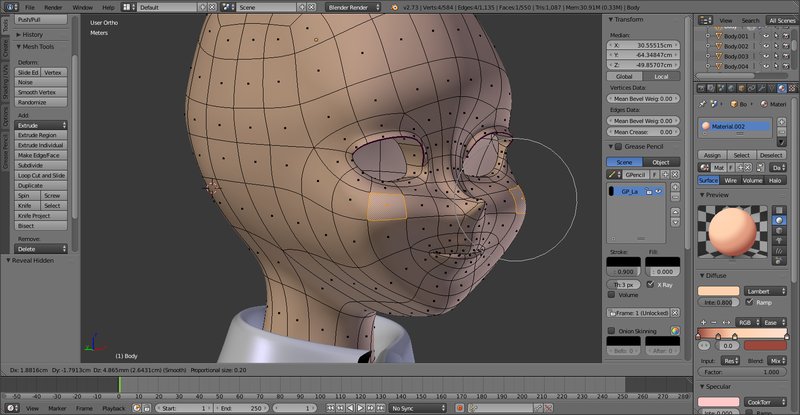 Yes Blender is free, it’s what I use even though I want to be using Max but my RAM and GPU can’t handle it. So recently I opted for 2D frame by frame animation merged with 3D and 2.5D in areas where I can get away with it. But I am back at square one having taken such a long break from it. But I’m not doing to bad. Below is one of my first full colour blinking tests. I am aware of the various errors though. This was more to see if I had enough skill to use cel shade. I’m still on the fence with having shading in my animation. I haven’t fully discovered myself yet with animation. The second video was my first ever attempt at rain. I know it’s not great but now that I know more about after effects I think if I made the store a 2.5D or 3D scene I could make much better rain. I’m trying to learn how to animate rain with droplets on the ground but I’m having trouble doing it on my own since I’m still very beginner. I have learned an awful lot though. So I’m still pretty happy, just frustrated. You can check out all of my animations here http://draconianrain.deviantart.com/gallery/44699976 and in my scraps folder you may find a few very early test animations.